I had a very busy cake-filled weekend, I was asked to make 24 cupcakes for my cousin's Christening on Sunday. I am always happy to make cupcakes for people and love nothing more than seeing people enjoy my creations. 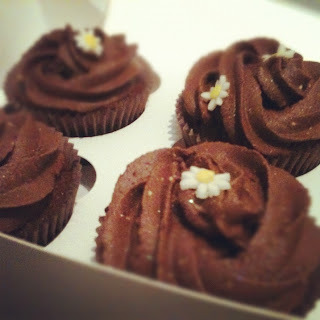 The order was for 12 chocolate and 12 lemon cupcakes. 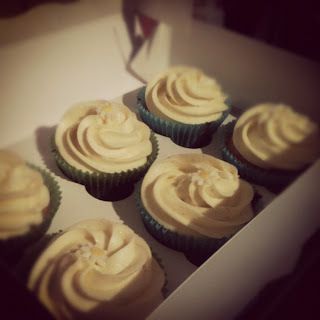 The lemon cupcakes were the ones I was most looking forward to making, I decided to make a simple vanilla sponge with just a hint of lemon and top with a sweet lemon buttercream. They turned out so well and were definitely the adults favourite, the sponge was light and delicate and the tart sweetness of the buttercream made them incredibly moreish! For the lemon buttercream I creamed the butter, lemon zest and a splash of lemon juice together and then gradually added sieved icing sugar until I got the desired piping consistency. For 12 cupcakes I started with around 110g butter. 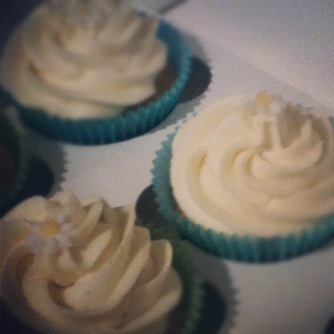 Both cupcake flavours were decorated with small fondant daisies. The baby who was being christened was called Daisy Grace so I though this would be a nice touch. I bought a daisy plunger cutter from Cake Craft World and simply cute out some white sugarpaste. I also dyed a small amount yellow and made some tiny dots for the centre of the flowers. It was fiddly but totally worth it! I mean how cute are they? I am very proud of myself and hopefully I will be able to make more beautiful cupcakes for people soon. You should be proud of yourself, they look gorgeous! 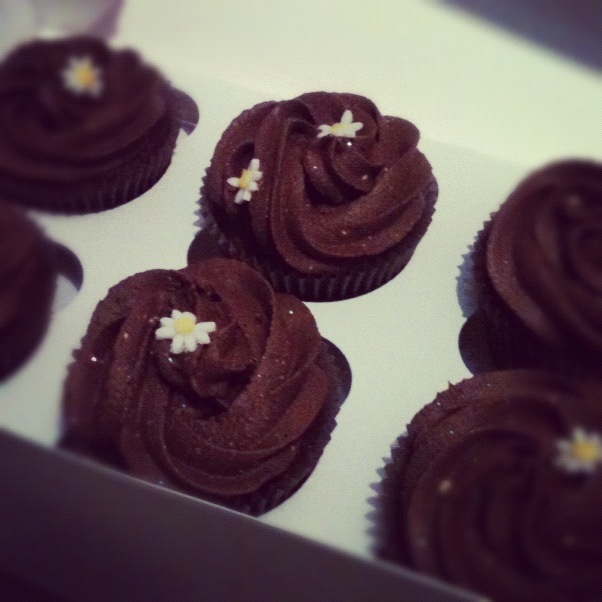 I've never made a pretty cupcake in my life, I have to admit I'm jealous. Heh. Thanks! I figured as my site was called "Nellyscupcakes" I should probably start making more cupcakes! I have been too focused on pie this winter.